A divine appointment with a young man named Hugo. We just happened to be praying for him at a Bible Study of a friend when he opened his eyes saying, “Hey, I recognize your voice.” He went on and shared with us how he got saved a few years back when we were preaching at a Youth Summer Camp in the mountains where he received Christ when he came forward for the altar call. He also got filled with the Holy Spirit later in the event when we prayed for him. We were excited to hear how he is fully following Christ and is now studying at Biola University and preparing to be a missionary in a Muslim area of Europe—the real new mission frontier of the world that has less Christians than sub-Saharan Africa now. 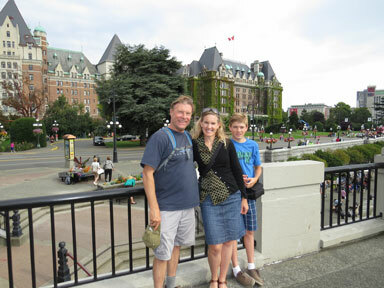 Visiting the historic city of Victoria, Canada, on Vancouver Island, where we were blessed to minister this last year! 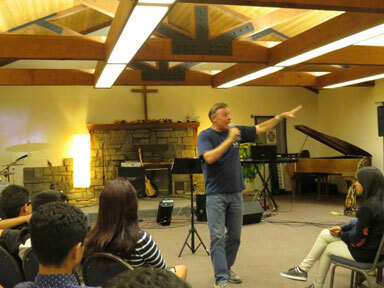 Ministering at a youth retreat up in the Mountains where we had a very powerful outpouring of the Holy Spirit! 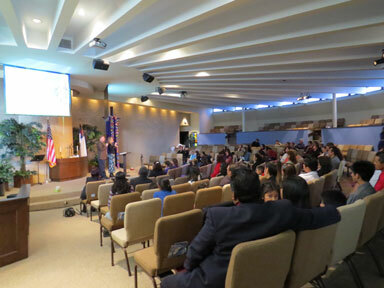 We had a few trips out to the base of the San Bernardino mountains where we have been blessed to be involved in encouraging a number of Hispanic followers of Christ at a church out there in their call towards missions, and are now excited to be seeing them hit the mission field full-time as well. It is a blessing to see fruit coming forth and those willing to go forth and fulfill the Great Commission. We did a couple of trips up to Santa Barbara ministering in Isla Vista at IV Church, which is involved in a regular outreach to the students at UC Santa Barbara. We saw quite a number of the students and others filled with the Holy Spirit and impacted for Christ as we preached and ministered at the campus church there this last year. Many are rising up to do Christ’s work there as well. We also ministered in numerous meetings in many different areas where we were blessed to see many filled, healed, saved and delivered! This included a youth retreat over the summer where the Sprit of God was just poured out in such miraculous power with signs and wonders following in miraculous ways over the youth from El Calvario church. We also did a conference in Orange County that our friend Meri put together, that happened to land on the anniversary of Aimee Semple Mcpherson’s passing. We experienced some of that historic move of the Spirit as we ministered at the conference for sure. 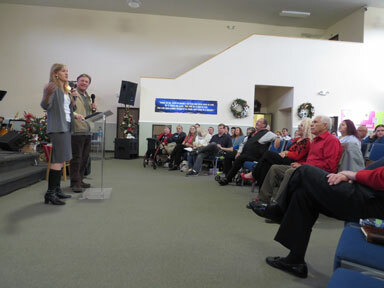 We were also blessed to have two trips up to Canada where we ministered for the first time on Vancouver Island. It was great to experience the Holy Spirit being poured out in power in numerous settings while we were there for one month at the end of summer/beginning of fall where we ministered in numerous places around Victoria. Our earlier trip there during winter had us in Canada for nearly a month as well, in the city of Vancouver, Whistler, Victoria, and Tofino. Both trips were unexpected and both came by way of divine appointments. Having been invited by my stepsister to their cabin in Whistler in early 2014 for the first time ever, we were able to share the Gospel to them as well as minister in Vancouver at a meeting a friend set up, and after Whistler we went to Vancouver Island where another friend happened to have an apartment available to use. God’s timing was leading every step of the way. While on the island, we shared at a meeting where we also prayed for a couple whose husband had been seriously brain injured with a severe fall off a roof. We prayed with and for him and he was significantly touched and experienced some healing by the Holy Spirit. This family subsequently ended inviting us up to use their place while they were gone at the end of summer. On this second trip up to Canada last year, God supernaturally just began opening doors, as we came up by the leading of the Holy Spirit and nothing but faith, not knowing at all what would take place. We ended up ministering in Victoria, Saanich, Langford and many other places in numerous churches and meetings experiencing the Holy Spirit being poured out in power along every step. We were quite blown away at how much the Lord unexpectedly did on that trip! We ended the year ministering via another divine appointment from an old friend from the Vineyard. She set up a meeting where we preached and ministered at a church in Orange County where the pastor just happened to be from Canada. Not only that but he began his ministry in the same place where we did our first conference up there, way up in the Peace River Region. Some definite divine timing and connecting going on there for sure!! 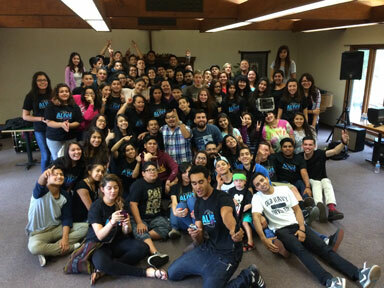 Group picture together from the Summer Youth Retreat where we ministered to the youth of Iglesia El Calvario. 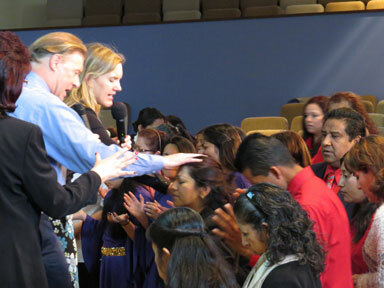 Preaching and ministering together at Centro Cristiano Esperanza where we did some healing meetings. We feel blessed to be ministering together as a team for twenty years now! God has been faithfully and continually blessing and leading us throughout the journey together. From 11 mission trips to Europe in 11 different countries: Romania, Latvia, Kosovo, Switzerland, France, Spain, Germany, England, Ireland, Norway, Sweden, to all the ministry in the Latin American context: In Argentina, throughout 3 different states in Mexico, as well as ministering to the Hispanic community throughout the US. Also in the past few years traveling and ministering in North America: in Montana, Colorado, Arizona, Hawaii and recently ministering in British Columbia in Canada—new ground for us, along with many other major mission trips over the years, including Africa and Japan, as well as wild divine appointments in many other wild places from Israel to Hong Kong to Spain as well as many other interesting and unexpected locales. We’ve spent roughly 3 months per trip overseas over the years (including Africa, etc.) which has come out to just about 3 years of our lives spent overseas. Culture and re-entry shock wouldn’t seem like a big thing but it does hit you each time. We’ve been blessed to see His hand of grace over our lives. In marriage and ministry, we’ve been blessed to see the Holy Spirit work through all our ups and downs, all together for good, as the Spirit of God just goes deeper in our lives all the time. From the earliest days of sharing one car and sometimes just a can of beans for dinner while attending school and living in what we called “the old shoebox,” which was our little 330 sq. ft. apartment back in CdM, to traveling and sleeping in beds that didn’t deserve to be called beds—like an old army cot that we were supposed to fit 3 people in the middle of the frozen Swedish winter, to a bed in Romania that 6 cats had been hanging out in—yikes, cat allergies! As we’ve endured the cross and sacrificed, God has been with us and blessed us in many ways. His grace keeps flowing and going deeper in our lives with His Spirit all the time. We keep experiencing the Kingdom of God encountering us at every turn as well as the glorious and loving presence of Christ. 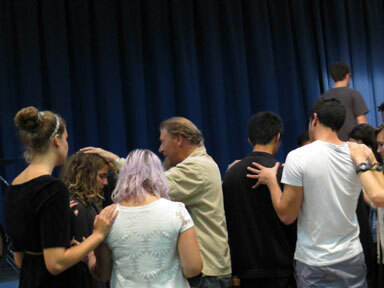 Ministering as the Holy Spirit moves up in Santa Barbara. We originally connected by divine appointment with the crew up there and are stoked to see the way God keeps working among them. Ministering together as the Holy Spirit pours out His power. We’ve received a number of testimonies of healings, of those filled with the Holy Spirit, and those who have been saved as we’ve continued to follow the Lord’s leading. We’ve been blessed to continue with both radio and TV ministry which we continue to carry on, as well as Internet radio. We continue to get many positive responses through other media like YouTube and GodTube and iTunes, with programs ranging from Bible Teaching to Christian History to Powerful Testimonies to Holy Ghost Stories. At this point we’ve accumulated a pretty substantial library of Audio and Video programs somewhere in the neighborhood of around 100 audio and 60 video programs. Our audio programs can be accessed on iTunes under our podcast Grace Alone, with even a timeline that can help you chart a course through Christian History. We’ve had over 130,000 hits on our ministry page on YouTube at this point. We continue to broadcast on traditional radio and on Internet radio that is also getting picked up and played on traditional radio with responses from places like El Salvador, Peru, Spain and North Carolina as well as many other places. We’ve received letters and responses from these places telling us how much the program has ministered to them. In fact a letter and donation came from El Salvador telling us how they were ministered to by our program! We’ve also been blessed to have some stories from our ministry published in 4 books at this point, including: Stories From the Front Lines by Jane Rumph, Signs and Wonders in America Today by Jane Rumph, Divine Intervention by Julia Loren, and Kernels of Hope by Bob and Gail Kaku. Writing is an expanding frontier and one we feel we are just starting out in as we record and lay down all the incredible things God has done over the years. However, it is not a fast process, and requires a different approach in communication compared to preaching, so it is something that requires a bit of shifting gears, especially in the instantaneous microwave oven-iPhone-fast-food-culture we live in. The Lord keeps stretching and challenging us as we move forward into new areas from writing to producing videos, etc. as we tell about and lay down all the blessings, trials, and miracles we’ve experienced. 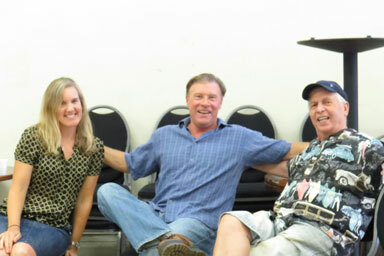 Preaching and ministering together at Canyon Christian Center in Anaheim, California with Canadian Pastor Dave Lagore whom we connected with through an old friend! Above: In Victoria, B.C., Canada, with Bob Brasset, where we had a powerful time ministering together as well as doing power evangelism together at a local mall on our earlier trip to Canada! We’ve been so blessed to see so many get saved and filled with the Spirit and ministered to over time, as well as so many glorious and blessed miraculous encounters and moves of the Holy Spirit, so much so that it just blows our mind. We are so thankful for your prayers and financial support! It is always a source of God’s help and encouragement as we carry on by faith the work He supernaturally birthed through a divine appointment some twenty years back. Before we knew it, we were thrown into the Lord’s harvest working His fields, and have been blessed to see many saved, healed and delivered. Your help keeps us keeping on with Gods work!!! the Lord has blessed us to see His grace and power touch lives. Have a look!